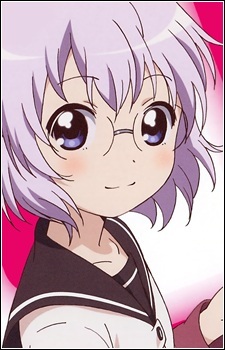 Ikeda Chitose is a member of the student council. She is a helpful character whose extreme yuri fantasies make the yuri quotient of the story rise dramatically. While fantasizing, she removes her glasses to block her vision so she can concentrate, causing intense nose bleeds. She is really fond of the Ayano x Kyouko pairing. She speaks in soft Kansai dialect and likes tsukemono (pickled things).